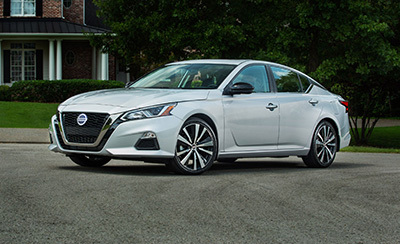 In case you are looking for a sedan, one of the best options on the market right now is the beautiful 2019 Nissan Altima. Perfect for families, you can take the 2019 Nissan Altima anywhere you want. Besides beautiful, you can count on its comfort not to mention the safety features that it includes. Are you ready to see what to expect from the brand new 2019 Nissan Altima? In case you are wondering, you can already go to a dealership near you and check the 2019 Nissan Altima with your own eyes. We can definitely say that the 2019 Nissan Altima is worth every single penny. With a base price starting at $24,645, the new 2019 Nissan Altima already includes a lot of features. Nevertheless, in case you prefer the higher trim, you need to be able to spend at least $35,000. However, this specific trim already includes a lot more features than just the base or the middle trim that you can get starting at $28,825. If you are familiar with the previous generation of the Altima, then you will be able to spot a lot of differences. And in our opinion, we were extremely happy to see them. 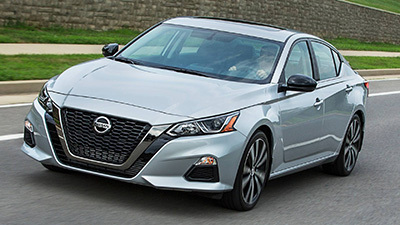 The 2019 Nissan Altima now features crisper and sharper lines that don’t only improve the overall appearance of the 2019 Nissan Altima as this makes this sedan better than their most direct competitors. The automaker also decided to incorporate the floating roof that can already be seen in other vehicles like the Murano. Under the hood, you will be happy to know that you have multiple options. So, let’s check one by one. The base engine of the 2019 Nissan Altima is a standard 2.5-liter inline-4 engine that is able to produce 188 of horsepower. Please notice that if you are looking for a 2019 Nissan Altima that has all-wheel drive, the standard model is the only one that has this option. So, if you live in a snowy state, this may be a good option for you. In terms of the transmission, the 2019 Nissan Altima base model uses the continuously variable transmission (CVT). The other option that you have in terms of the engine is the 2.0-liter turbo-4 motor. This engine is able to produce 248 of horsepower and 280 pounds per feet of torque. This is the current engine that Infiniti QX50 is using and the one that replaced the V-6 engine. This version of the 2019 Nissan Altima is only available with front-wheel drive. The 2019 Nissan Altima has the usual trim levels: the S, the SR, the SV, the SL, and the Platinum. Inside the cabin, you will be particularly happy with the ergonomically designed seats that are comfortable even when you need to drive for many hours. In case you had the chance to try the previous generation of the Nissan Altima, then you’ll be glad to know that the automaker improved the outward vision by lowering the cowl. So, you won’t have any difficulties driving the new 2019 Nissan Altima or even to place it into parking spots. 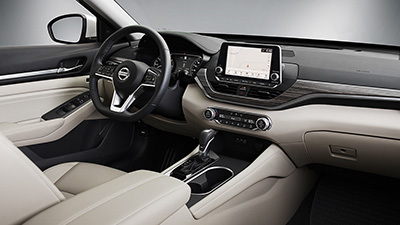 Even if you are considering buying the base 2019 Nissan Altima, you will be glad to know that it already comes with an 8 inches touchscreen infotainment system that is compatible with both Android Auto and Apple CarPlay, remote start, Bluetooth connectivity, keyless ignition, and 4 USB charge points. 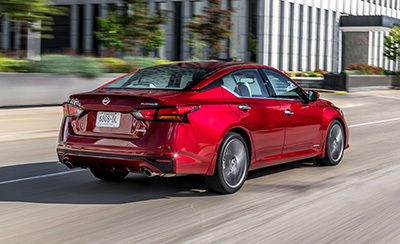 In terms of safety, all versions of the 2019 Nissan Altima come with some basic features such as the automatic emergency braking. 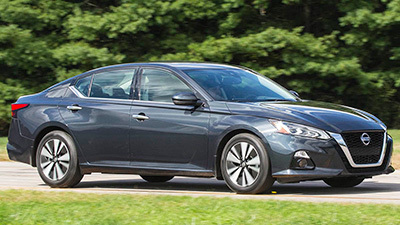 Nevertheless, most of the 2019 Nissan Altima also include adaptive cruise control, rear automatic emergency braking, active lane control, and blind-spot monitors.